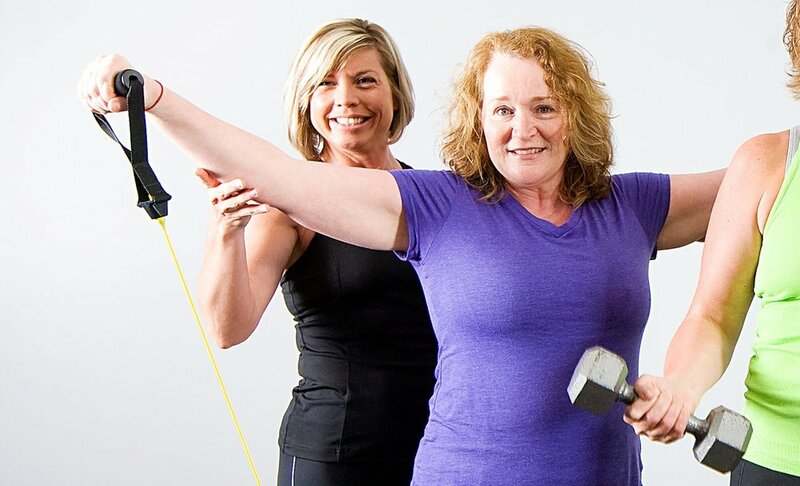 SQ ActiveIs Personal Training Right For Me? There are many different types of personal trainer. I specialise in helping people who haven't exercised for a long time, people who want to improve their posture, those who are recovering from an injury and those who want to be stronger runners. consider yourself A mature adult? 50s, 60s or older? Concerned about your future health and feel you need to start making changes? Want to continue to look good and be the envy of others but you're unsure what exercises are right for you now? I work with individuals over 50 to improve posture, overall strength and fitness. Sessions are completely tailored to your needs. Want to train for a specific event / race / prevent injury? Do you have a good base level of fitness but you're seeking support with a specific weakness - perhaps your need to strengthen your core and glutes to help you run faster and stronger and prevent injury or maybe you want to get fit for your walking holiday? I can help you work on your areas of weakness, ensuring you are prepared for the task at hand. Before I started working with Sabrina, my knees were swollen and weak from a previous operation. I was surprised at how quickly things improved. The knee swelling decreased significantly and I am now able to cycle uphill with ease. Achieve your goals – being clear on what you want to achieve ensures a focused approach. Many of us find committing to a training programme difficult; a personal trainer will hold you accountable whilst also providing the support and motivation you might need. Time saver – if you’re serious about achieving your goals, working with a personal trainer will mean more time efficient workouts. No more slogging away on the treadmill for hours on end or doing exercises that don't help you meet your goals. Workout smarter, rather than longer. Safe workouts – if you don’t know your dumbbell from your barbell, working with a personal trainer will provide you with the knowledge and confidence to work out on your own. You'll learn how to do exercises correctly, and be provided with modifications and progressions. Varied and fun – if you’re bored of your usual routine, and fancy something a bit different, a personal trainer will design varied and fun workouts to challenge and develop your whole body. Diet advice – there are no fad diets when you work with SQ Active. You will however be requested to provide details on your eating habits and you will receive nutritional advice and tips in line with your goals. Confidence boost - you'll feel good, look amazing and be ready to take on new challenges. Personal training is not a quick fix programme. Forget the fad diets, this is about developing life long habits to help you move and feel better. If you find the gym intimidating, then you'll be relieved to know your personal training sessions are conducted in your own home/garden or in a local park if you live in the borough of Kingston upon Thames; you will not need to step foot into a gym. Canbury Gardens is just one of the parks you could be training in. Training sessions are designed to fit around your life, so you decide when and where works for you. I currently deliver personal training in Kingston upon Thames and upto 7 mile radius. Please drop me a line if your query is regarding other locations.